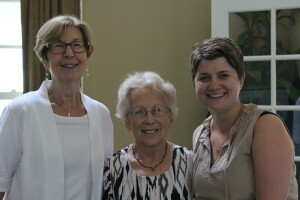 Three Program Directors: Crystal Dahlmeier (2006-2012), Marian Cardenzana (Founder, 1988-2006), and Heather Gerker (2012-present). Greater Cincinnati Center for Montessori Education (GCCME) began in 1988 as North Cincinnati NCME (National Center for Montessori Education). Co-founders, Donna Gehrum and Marian Cardenzana, saw a need for the program because there were teachers working in Montessori programs who wished to be certified but could not afford the time or financial commitment of university courses. Often they were working full time and teaching was a second career for many of them. The program was designed to meet these specific needs. Donna and Marian operated the program from their school, Creative Child Center in Cincinnati. North Cincinnati NCME was in operation from 1988 to 1998 when Marian sold her school. They considered closing the NCME program but Ann Wurdeman & Rick Hulefeld were instrumental in convincing them to continue the program at Children, Inc. facilities in Covington, KY. In 1998, North Cincinnati NCME became Greater Cincinnati Center for Montessori Education (GCCME) and continued under their leadership until 2006, when Crystal Dahlmeier assumed directorship. After working closely with Crystal for several years, Heather Gerker assumed directorship in 2012. Crystal continues to be on Faculty as an Instructor and Marian plays a role on the GCCME Advisory Panel as well mentoring new Faculty members. Both continue to offer inspiration and guidance within the GCCME community. We are a division of Children, Inc.